Known by the moniker Speak Cryptic, Farizwan Fajari scored it big—twice—when he got the chance to exhibit his comically gritty illustrations at the inaugural Kuala Lumpur Biennale in 2017 and the Art from the Streets exhibition at the ArtScience Museum in 2018. 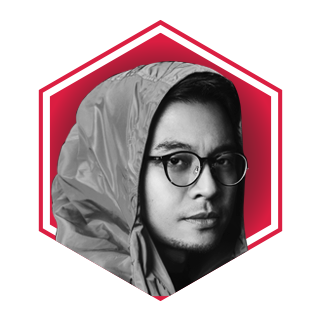 Through his playful works, the 38-year-old seeks to convey the relevance of street art and graffiti, particularly in Singapore. At the same time, he presents his art as a gateway for people to engage with the art world, which at times "has a reputation of being a club with a high cost of entry".